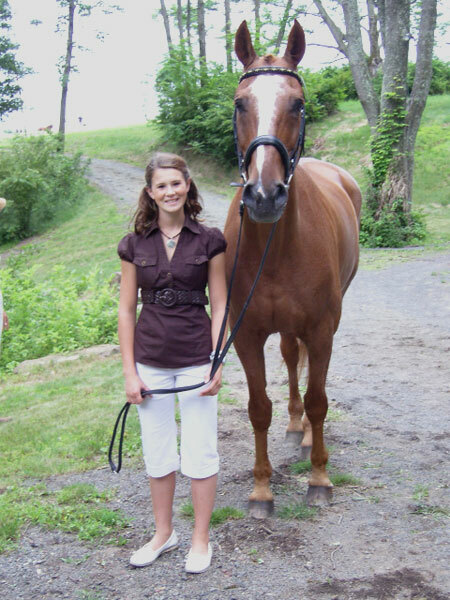 Alison Coyle and her horse “Bariton” placed 11th in the Nation in the Junior Rider Division at the National Dressage Championships. 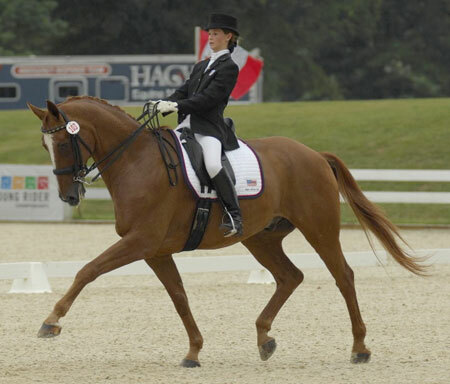 “The Festival of Champions” was held at the Headquarters of the United States Equestrian Team in Gladstone, New Jersey. Only the top 12 riders in the country in each category are invited to compete. The Festival of Champions focuses on bringing together the top twelve riders in the United States for Grand Prix, Intermediare I, Brentina Cup, Young Riders, and Juniors. Alison received a beautiful plaque with the National Championship Logo, gorgeous ribbons for her and the horse, a horse cooler, saddle pad, glasses, polo shirt, and hat. She says it was an amazing feeling to ride amongst all the top class riders and to find out about the history of the USET. Alison’s mom, Stephanie Coyle, and Elizabeth joined her on this trip. They made an exciting sidetrip to New Jersey, went to see the Broadway Musical “South Pacific,” and even went sightseeing in Washington, which entailed driving around the monuments while pulling the horse trailer. Posted in News on June 1, 2009 by danruccia.